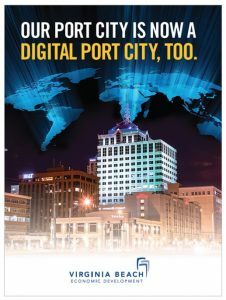 Virginia Beach is the new Continental Edge at the Confluence of Three Continents | The progressive port city of Virginia Beach is dubbed America’s “Digital Port” by Virginia Beach Economic Development Authority through its high-speed connections to the rest of the world. Globalinx Subsea Carrier-Neutral Colocation campus will provide innovative and resilient carrier-neutral interconnection capabilities. 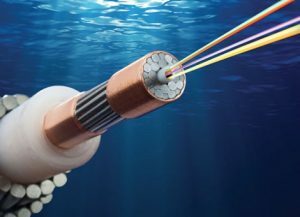 Cloud service providers, enterprises, dark fiber providers and subsea operators will have the ability to interconnect at the heart of a new International Connectivity Hub in Virginia Beach. Located in Corporate Landing Business Park in Virginia Beach, the Globalinx facility is a literal beachhead for the expansion of Subsea Carrier-Neutral interconnection colocation in South-Eastern Virginia. Just a few yards from the Spanish Subsea company, Telxius Cable Landing Station (CLS), the Globalinx Subsea Carrier-Neutral Colocation site provides direct access to the MAREA Subsea Cable — an innovative project initiated by Facebook, Microsoft and Telxius, and the first subsea cable connecting Virginia and Spain — as well as to the BRUSA Subsea Cable, linking Virginia Beach to Puerto Rico and Brazil directly.